We'll finish our study of Plumas County bridges with a two span reinforced concrete box girder bridge that was built in 2003. The Jamison Creek Bridge (09C0045) crosses the creek on Johnsville Road in the town of Johnsville. 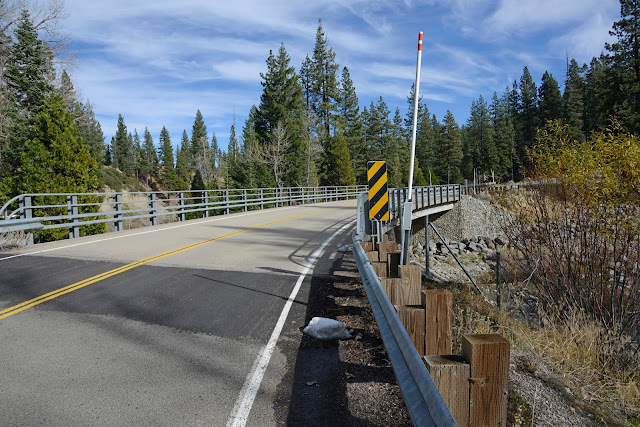 The bridge is in Plumas Eureka State Park, which is a pretty environment, and was the incentive to make an ordinary bridge a little less ordinary with a stone facade. However, the rocky creek and the rocky bridge may be too much of a good thing. 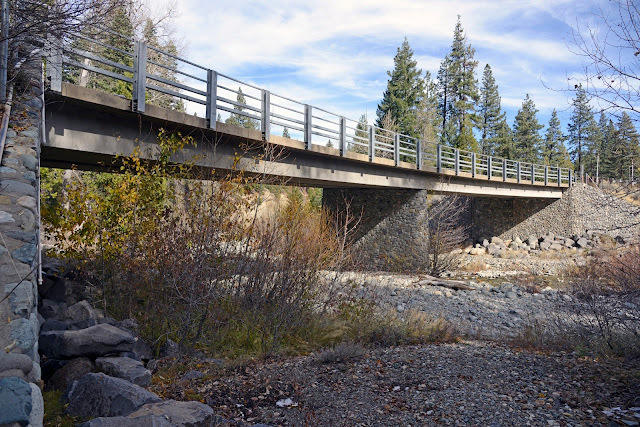 Plumas County, California Bridges: Jamison Creek Bridge by Mark Yashinsky is licensed under a Creative Commons Attribution-NonCommercial-NoDerivatives 4.0 International License.